Mr. Jayesh Thaker hails from a humble middle class background born and brought up in a coal mining town. An engineer by qualification having global educational and work experience has nurtured in him a strong foundation and importance of team work for a successful company. Since he joined this family business in 1993 the group has grown from a small trading shop to a leading distribution and service network today. He has been able to successfully incorporate professional team management culture into the organization. He is actively involved in overall responsibilities including strategic planning of all aspects of company from operations and business development to personnel selection and accounting. His vision and corporate ethics combined with dynamism and aggressive strategy have helped him to develop excellent rapport with customer, vendors and colleagues. 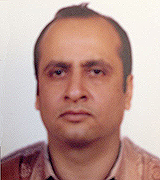 Mr. Kumar Thacker is younger brother of Jayesh and was also borne and grew up in coal mining town, Dhanbad. He joined mining machine business at a very early age and has strong back ground in the equipments and parts. 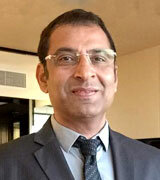 He is a director of the company and is looking after overall management in the eastern regions in India.